73.2m x 9.33m - with a draught of 4m. Single 5 Cylinder oil-fired engine. Gestar Shipping Company of Famagusta, Cyprus. The Loss of the Agia Varvara:	On 27 June 1976, the Agia Varvara sailed from Aqaba for Port Said. In the early hours of the following morning, she drove hard onto a reef near Nabq and was lost. The crew were subsequently rescued by the Israeli Navy. Diving the Agia Varvara:	200m north of the Million Hope shipwreck lies some wreckage on the reef top. This is part of the bows of the Agia Varvara. 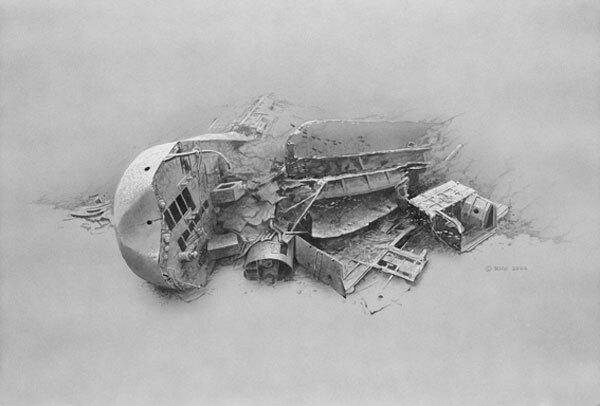 The remainder of the ship is relatively shallow, exposed and well broken. The stern is found resting on the seabed at 20m and pointing up the reef. The propeller is still attached and the rudder is a short distance away. 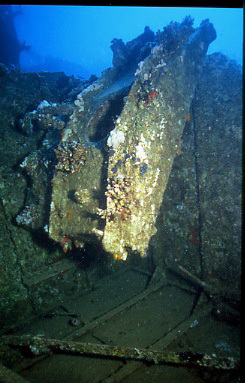 The stern section allows access to the engine room although the machinery itself is found exposed on the reef at 6-8m. A short distance north, also at 20m, another large section is found complete with funnel. Nearby large pieces of steel plating and iron supports litter the seabed and nearby reef. The foc’sle and bows appear to have remained on top of the reef and are now reduced to scrap metal. Postscript:	Not one of Egypt’s greatest shipwrecks but a refreshing alternative to those which are regularly visited. Many of the local diving guides may not have visited this wreck. Ned Middleton is an award-winning, best selling author. For more information about this and other shipwrecks found within the Egyptian sector of the Red Sea, his book “Shipwrecks from the Egyptian Red Sea” (ISBN 1898162719 and 1905492162) is readily available. This book was declared “Underwater Publication of the Year” for 2007.